ย้อนอดีตหัตถเวชศาสตร์ Background :: ร้านนวด อาศรมพฤกษา นวดรักษาตำรับกรุงศรีอยุธยา สืบทอดวิชาจากรุ่นสู่รุ่น..
We can’t know that he was taught by any teacher, so we will mention him only. 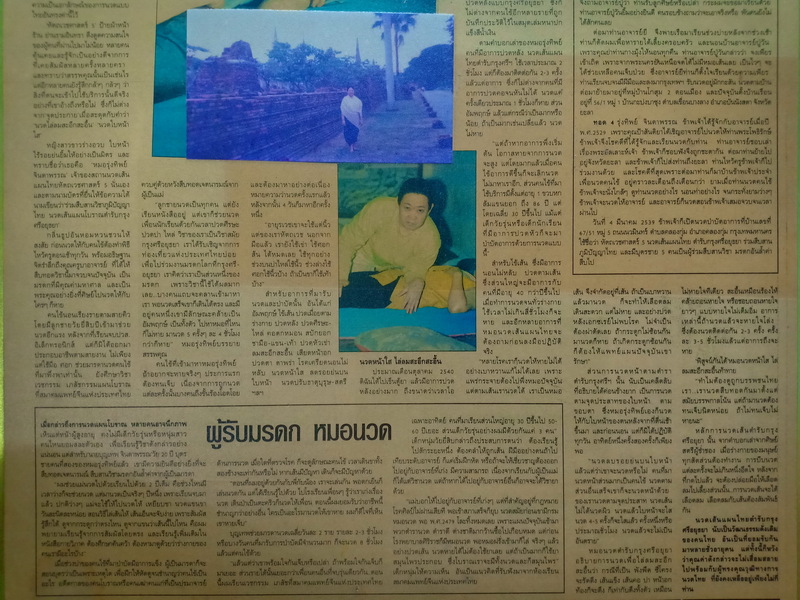 Pu Chanai, his youngest son, told that in the old days, Pu Thuat Kloy did the massage at 5 Moo 10, Ban Lad Sai Khao, Botalo Sub-district, Wang Noi District, Ayutthaya Province. He was very kind because when he did the massage for anybody, he wouldn’t request the payment. If the people who were massaged didn’t have any money, they could give him only some fruits, but he never demanded the quantities. In general, the people who were massaged should give him some charges. 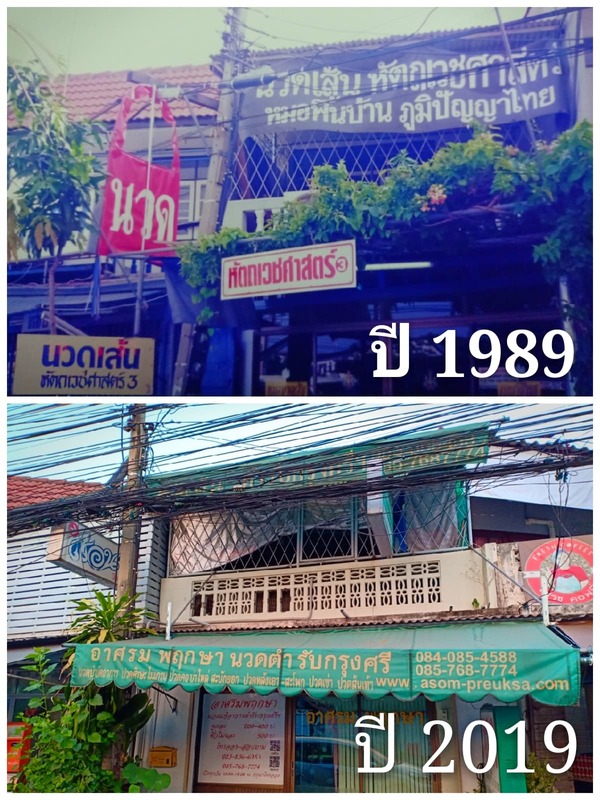 The people always gave him only 1 baht, but its amount was much enough for 100 years ago. 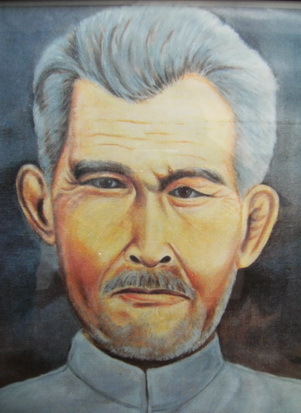 Then, when Pu Thuat Kloy was 54 years old, he was ordained at Wat Sao Wangkha in 1935 and taught Pu Wan Naimanop. 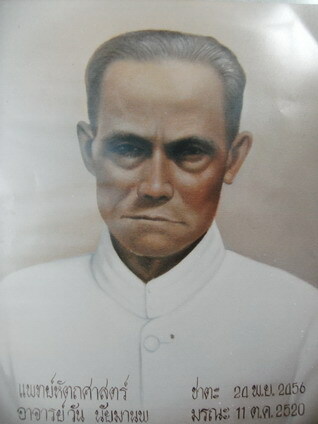 When he was taught by Pu Thuat Kloy, he was ordaining and he was 22 years old. Pu Thuat Kloy liked him very much because he was very hospitable. So, Pu Thuat Kloy promulgated him anytime when he was free from the religious activities. Then, Pu Wan didn’t make Pu Thuat Kloy to be disappointed because he was a famous person in Sao Wangkha Village. He was the spiritual guide, got the road through the temple built, and did the massage to the sick people with the kindness as the father loved his son. 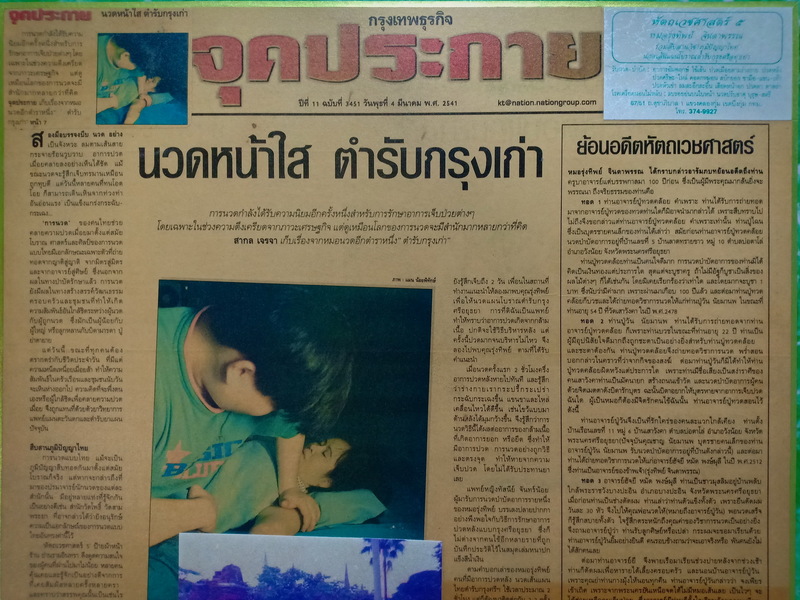 Pu Thuat Kloy taught that the doctor should always think that he was like the father who wanted his son to recover, so he would try to do everything for his son. The people who lived in the neighborhood loved Pu Wan very much. 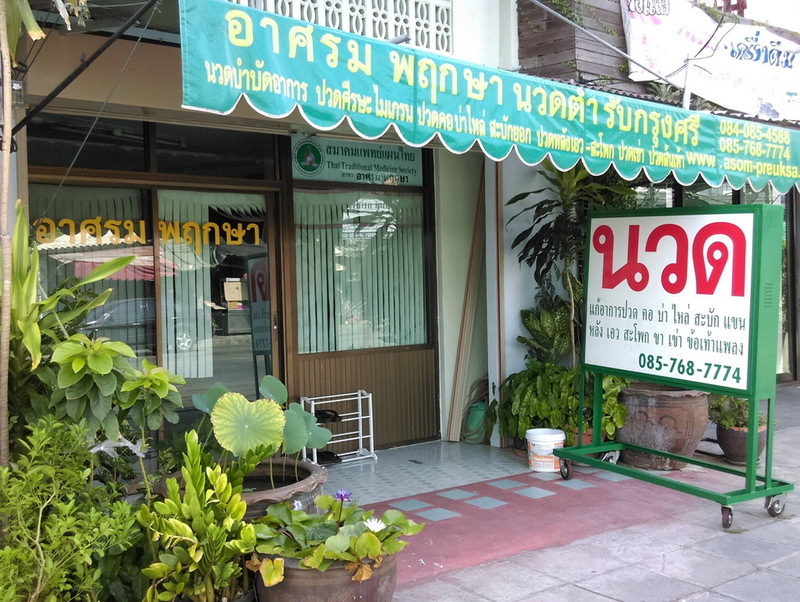 He lived at 11 Moo 6, Ban Sao Wangkha, Botalo Sub-district, Wang Noi District, Ayutthaya Province where Mr. Chan Naimanop, his youngest son, does the massage there at the present time. 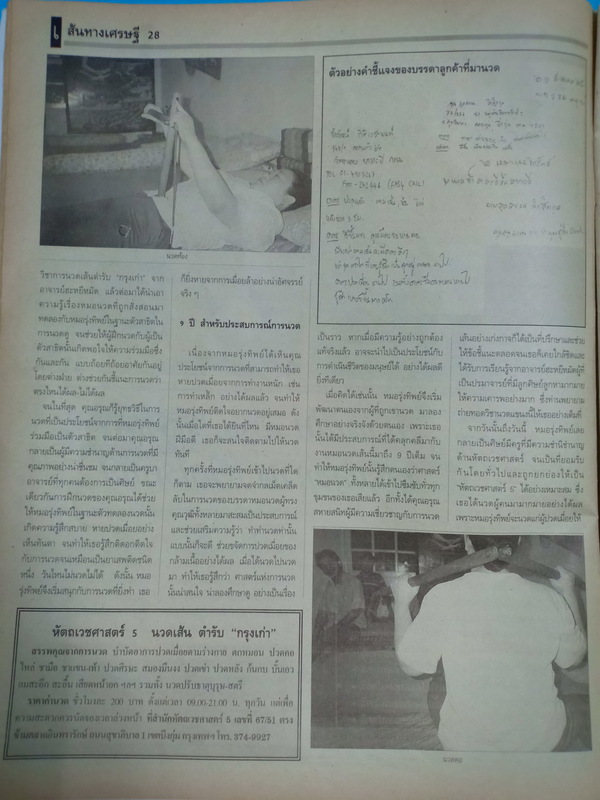 After that, in 1969, he taught the massage to Mr. Hadji Mud Pongmulee, who was my teacher (Warathip Jindapan). 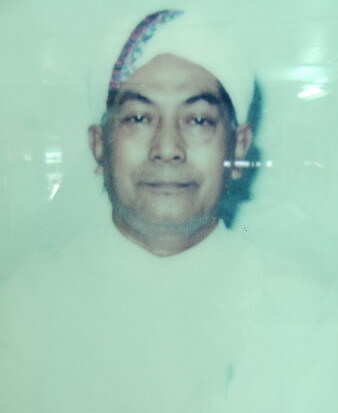 He was a Muslim who lived in Ban Plub near Bang Pa-in Palace, Bang Pa-in District, Phra Nakhon Si Ayutthaya Province. Formerly, he had been a barber, and his body had been inflexible because he had to stand all day for providing service for 30 customers. So, he went to see Pu Wan for being massaged; after that, he felt very comfortably and became aware of the advantages of the massage. Therefore, he asked Pu Wan to accept him to be a student, and Pu Wan was very pleased. Some of his friends asked him whether he was sure to study the massage because nobody could be succeed. He went to Pu Wan’s home by rowing a boat every afternoon because he had to cut the hair for making a living in the morning. He stayed overnight at Pu Wan’s home because his grandmother hung up a mosquito net for him every night. Pu Wan told him to be hard-working because there wasn’t any massagers in this province. He would like him to succeed as soon as possible so that he could care for sick people. 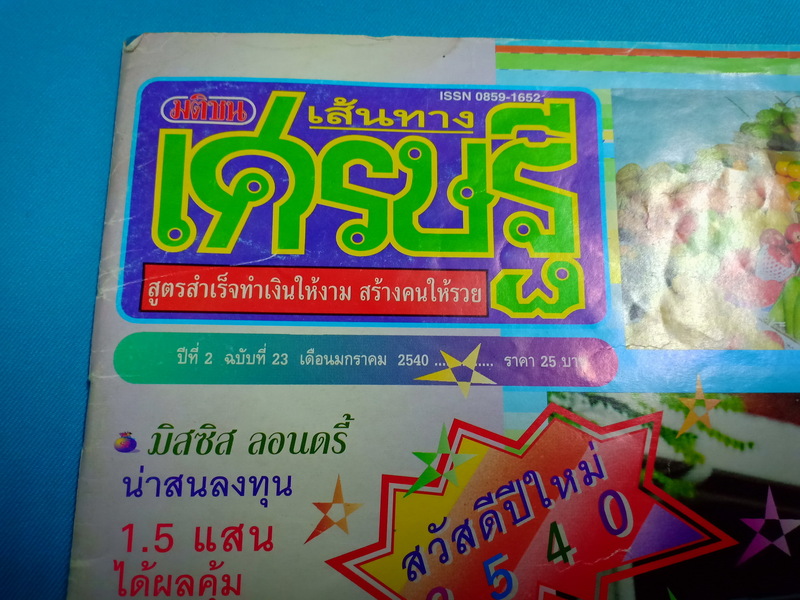 After his diligence, he could succeed and did the massage in Makkasan District, Bangkok. At present, he lives at 56/1 Moo 1, Ban Kapong Ba-sung, Bang Lang Dam Sub-district, Bannang Sata District, Yala Province. 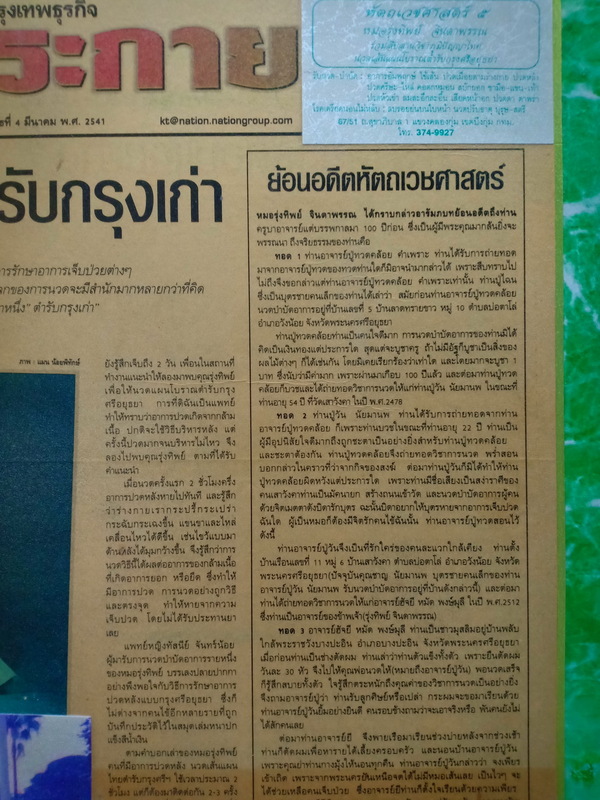 I knew him in 1986 because Aunt Suntiya invited him to do the massage for Monk Pothirak. I was very lucky to meet and studied the massage with him. He liked to narrate the story of Allah. I got along well with him because I liked to listen to it. Then, he moved to Yala Province, and I took him there. The luckiest thing was that he always went to my home for doing the massage for sick people and he would stay here for more than one month. When he did the massage, I would sit near him and noticed his methods. When he was free, I would try to do the massage for him and he taught me also. 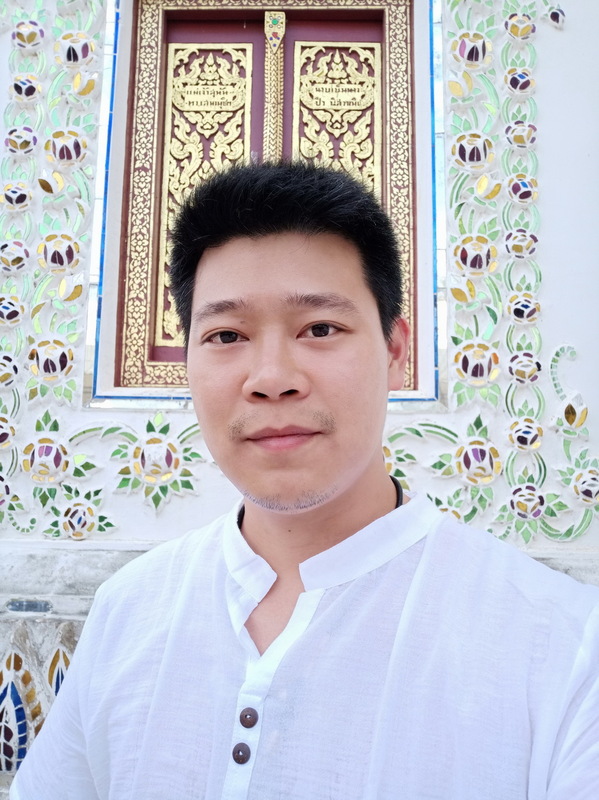 The 5th generation( present generation): the 5th son, Mr. Tantip is the main massage trainer. The 3rd son, Mr. Sriwattana, is also conducting some massage. The other two sons are Buddhist monks from 2006 and 2016. The last one does other work. When I was young, my older brother and I slept together with my mother. She called us to massage. 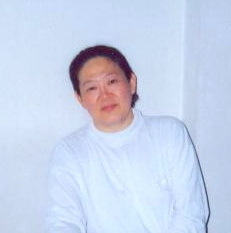 During massage, she taught how to massage, compress which sports to relieve pain, the intensity of pressure and massage. Until she saw that I could do massage in correct way (I was at grade 7, aged 13 years in 1996). She allowed me to massage the patient with not severe symptom. At that time, I could not compress hard. After practicing, my compression by thumbs were harder, I had more experience. Before going to bed, my mother called me to do a massage test with her. Until my mother saw that I could massage very well with effective intensity and correct direction, she permitted me to massage the patient. I had did this until I was 19 years. My mother allowed me to perform massage to alleviate all symptoms. of the Ayutthaya period. My 5 sons and I try to keep on the Thai wisdom. 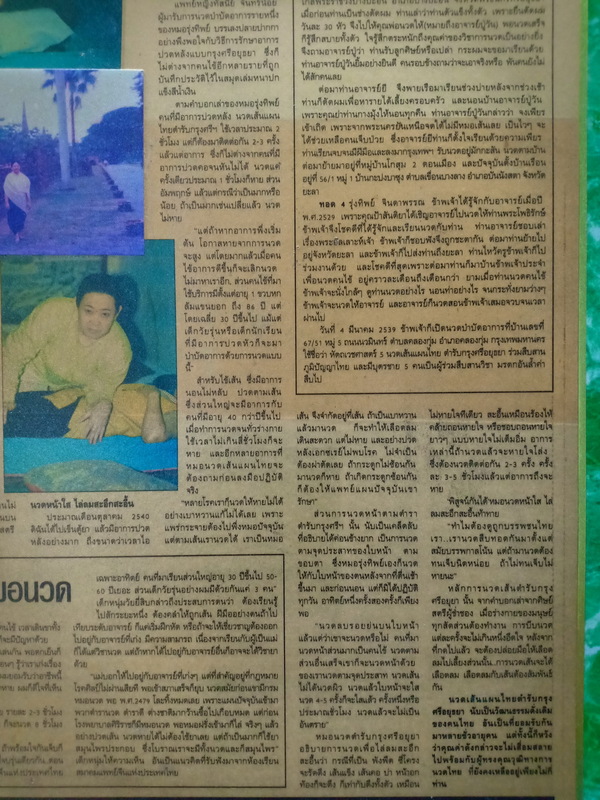 used to teach the massage as the pattern of the Ayutthaya period.